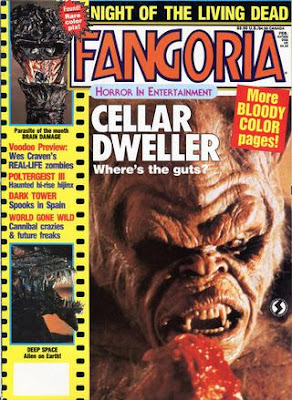 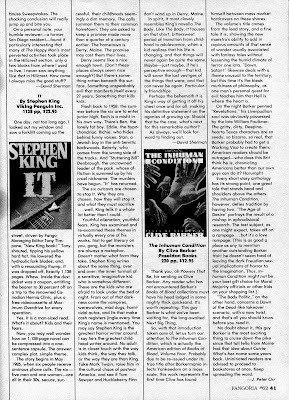 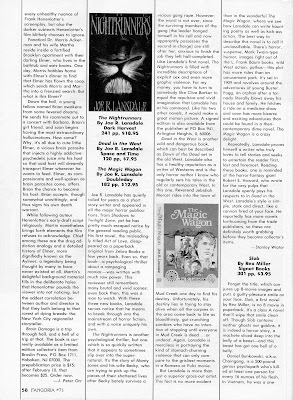 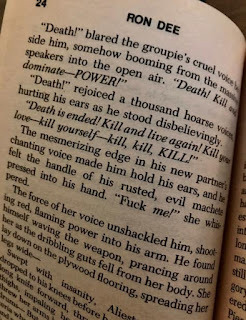 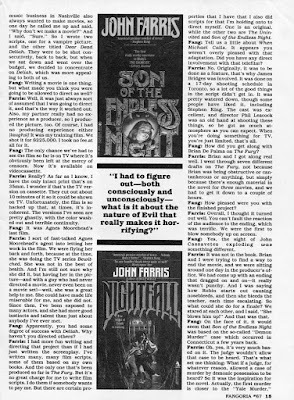 Another stellar crop of Fangoria mag fiction reviews of works by esteemed '80s horror writers, including erstwhile Eric C. Higgs. 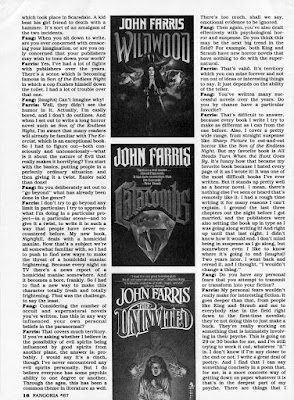 I really can't thank reader Patrick B. enough for sending these along to me! 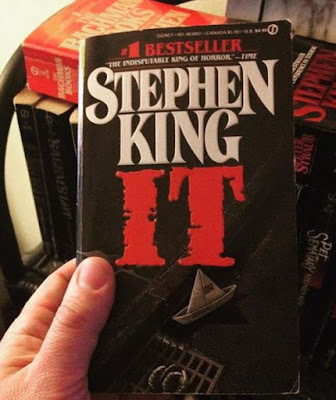 I'll get back to reviewing in the new year if not before. 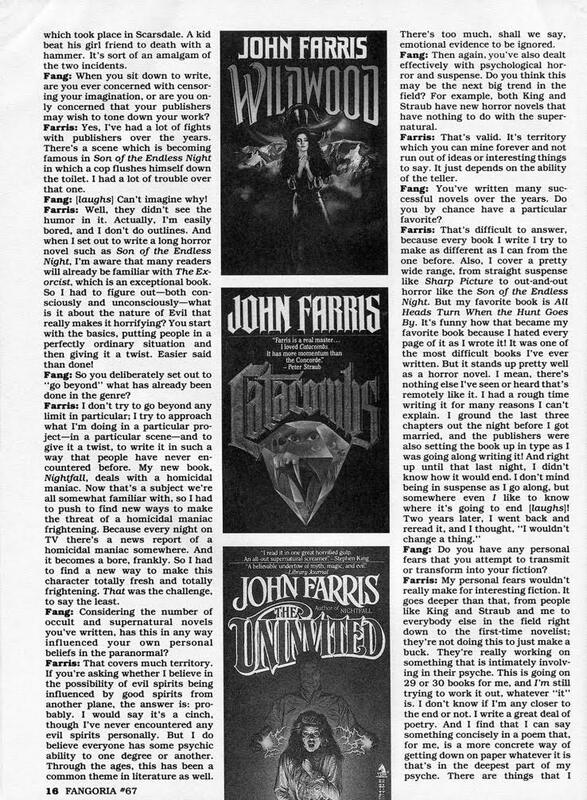 More Fango reviews! 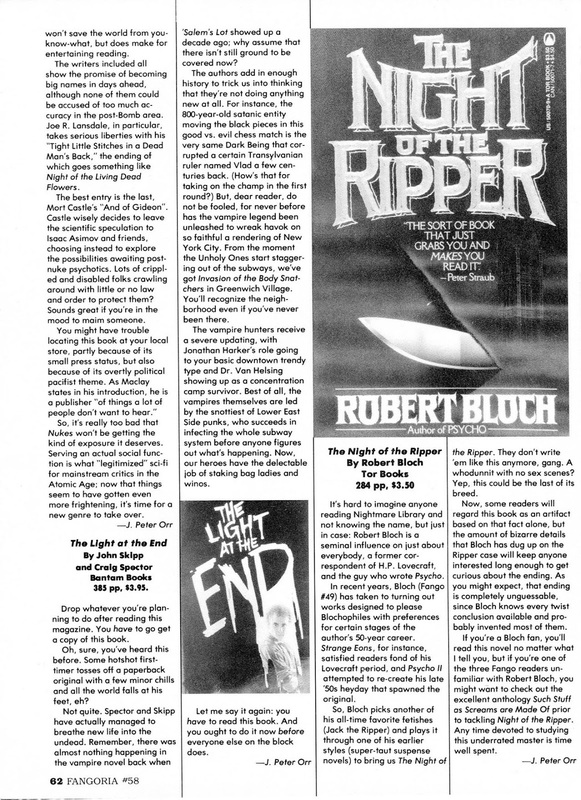 Lots of favorite names here: Klein, Skipp & Spector, Bloch. Thanks to Crypticus for sending these along, I'm still going through them! Stay tuned. 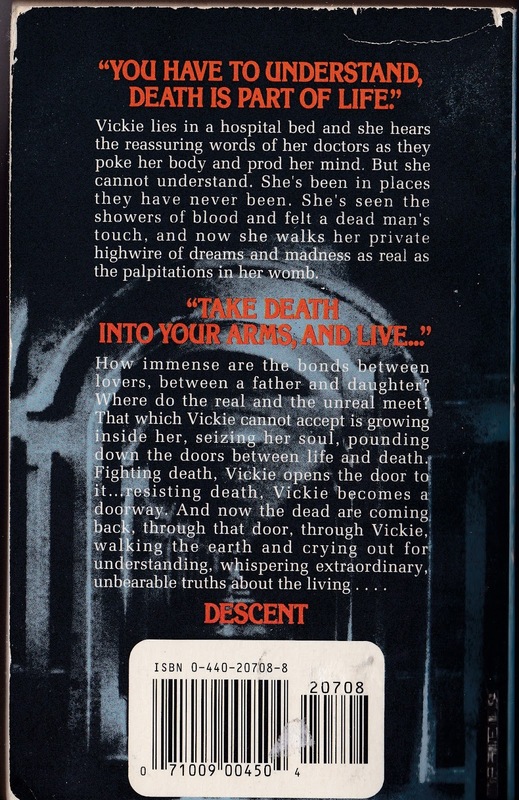 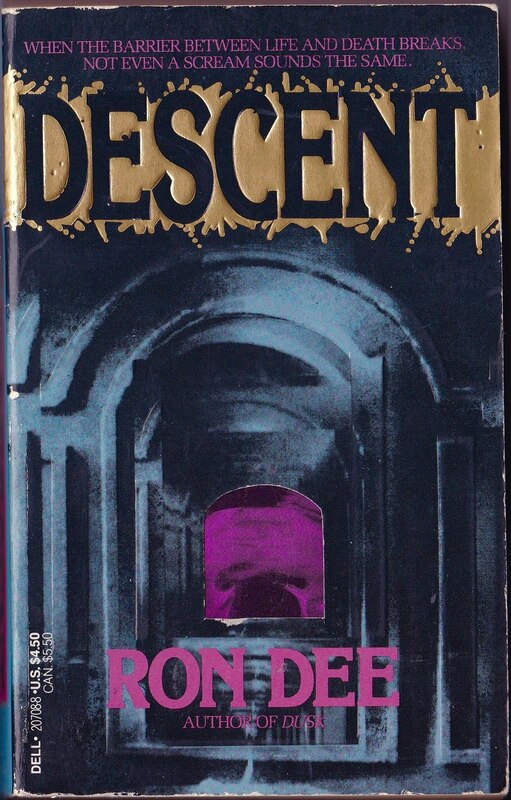 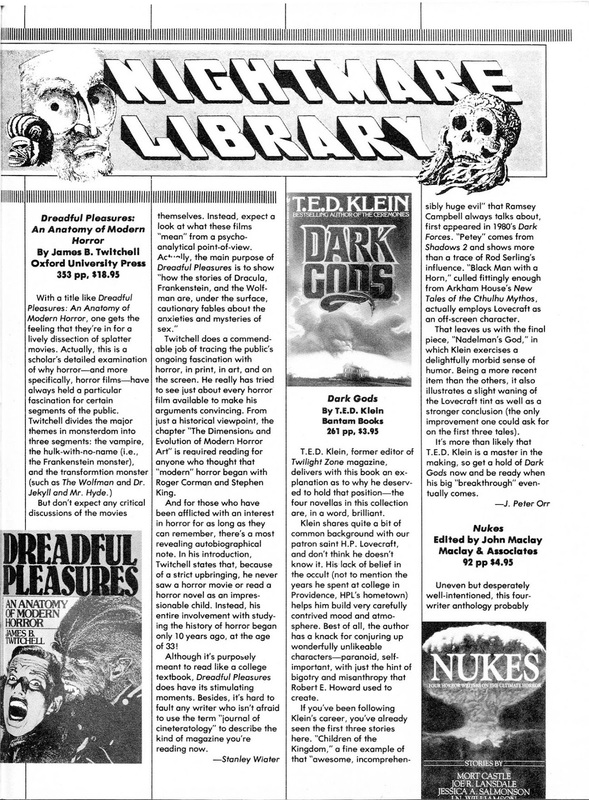 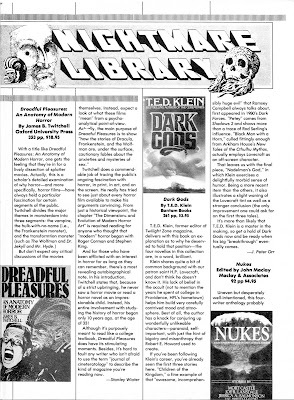 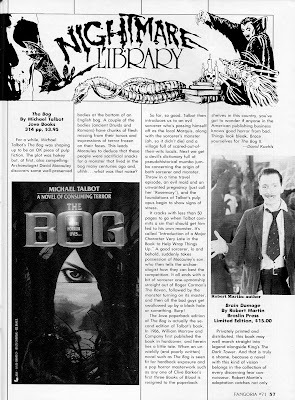 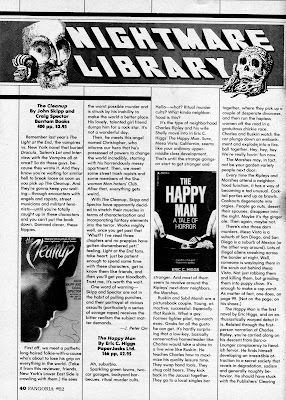 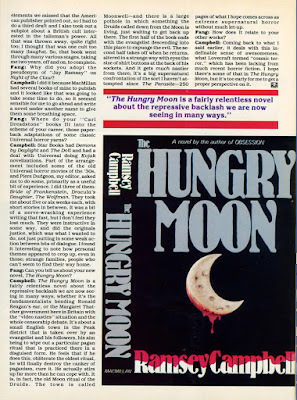 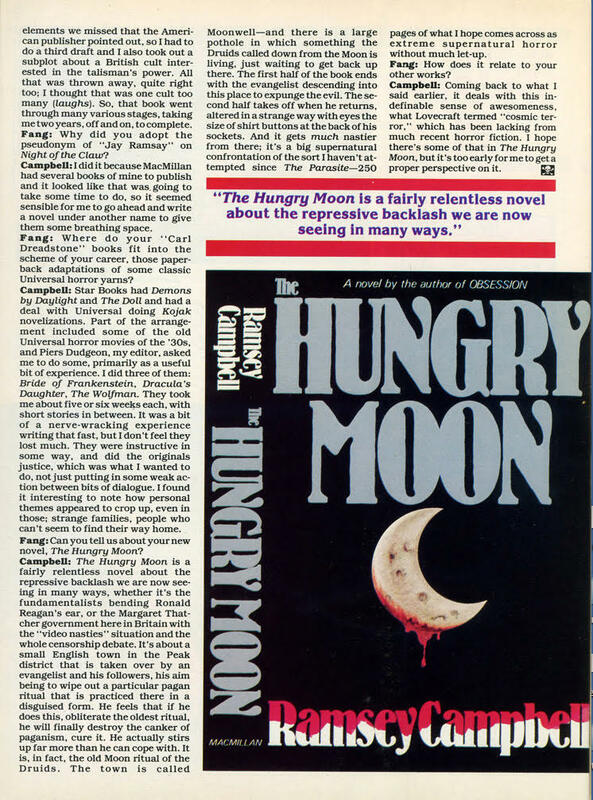 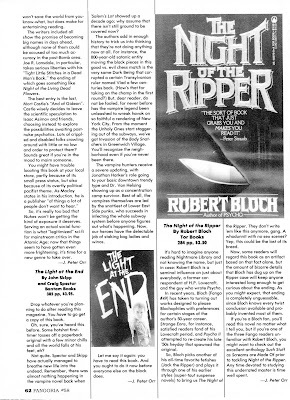 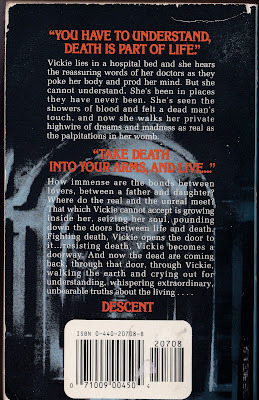 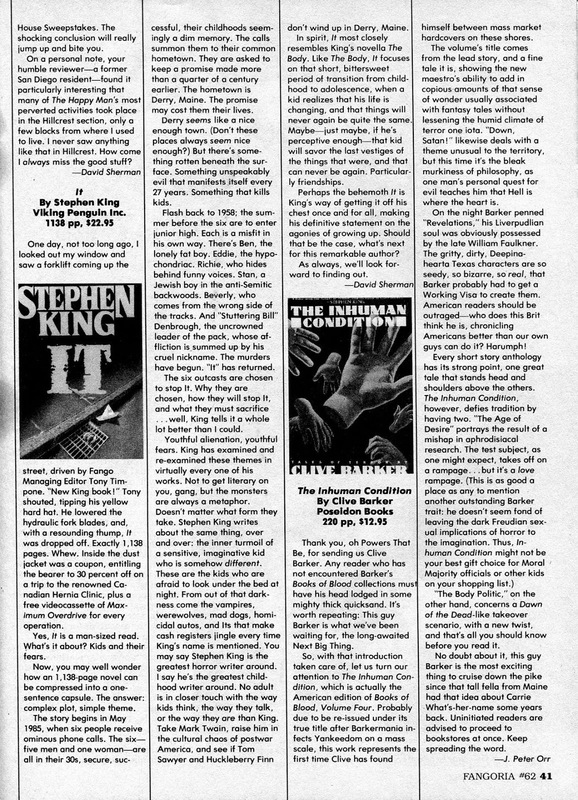 Another installment of Fangoria mag's vintage book reviews, thanks to TMHF reader Patrick B. 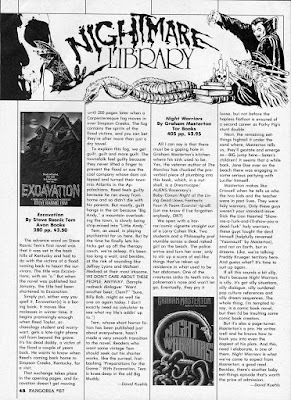 Authors should be familiar to horror fans: Joe Lansdale, Whitley Strieber, Michael Talbot, Rex Miller, and Thomas Monteleone. 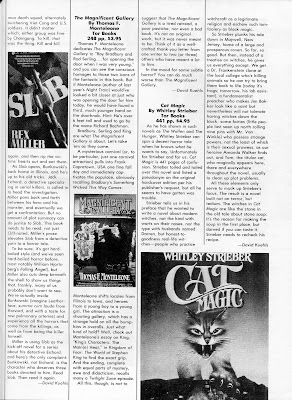 And I myself have reviewed three of these titles: Lansdale's Nightrunners, Talbot's Bog, and Miller's Slob. 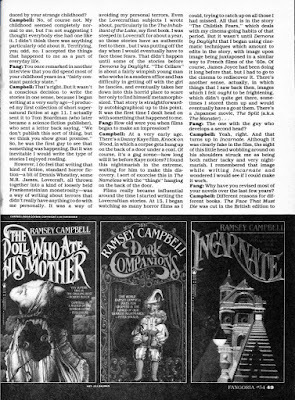 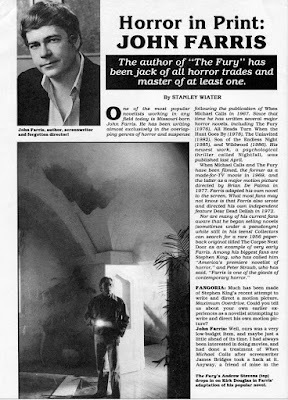 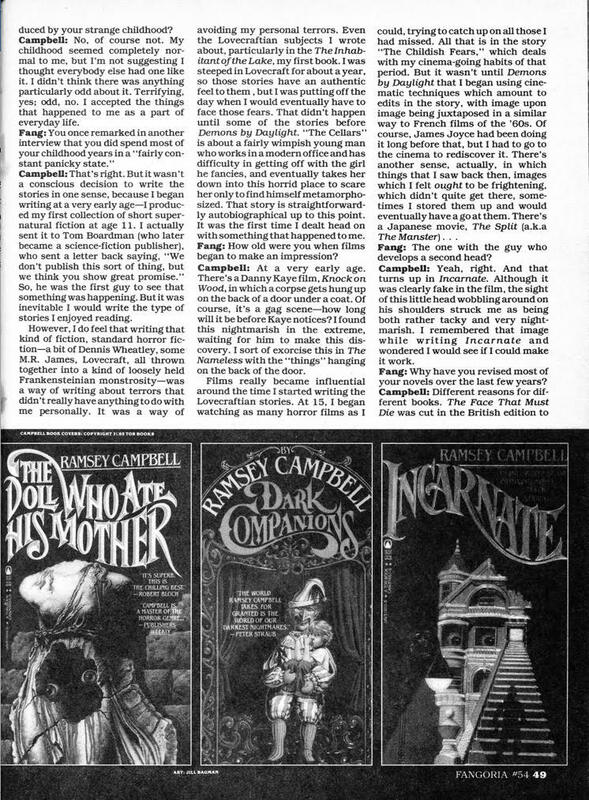 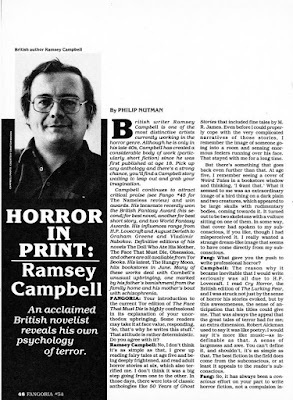 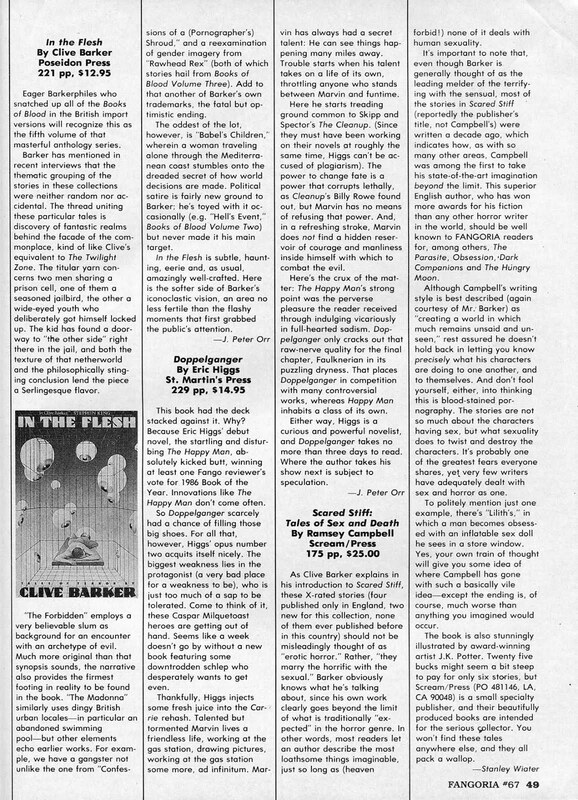 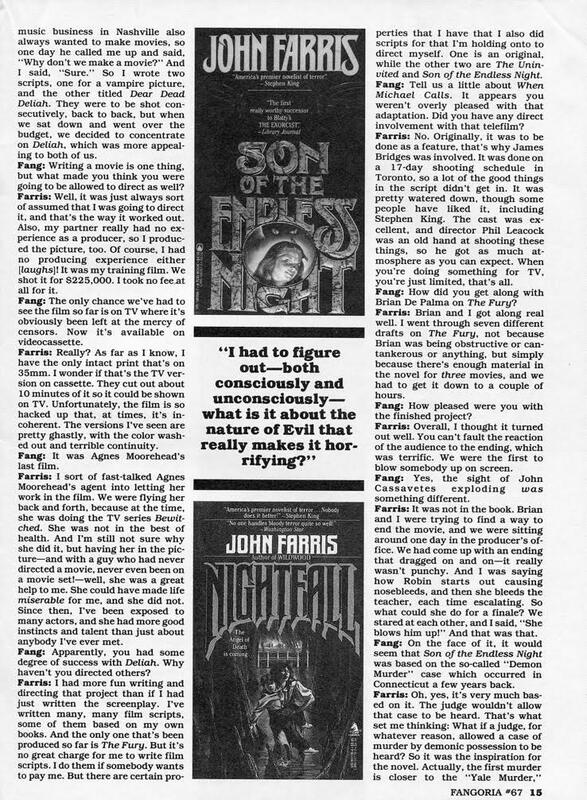 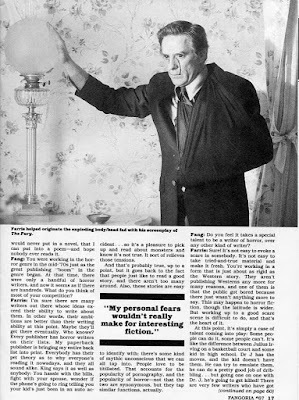 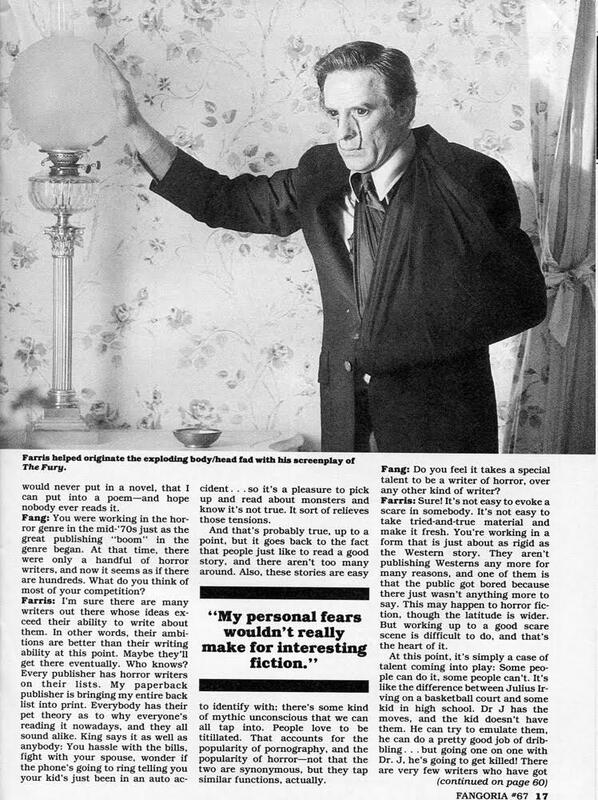 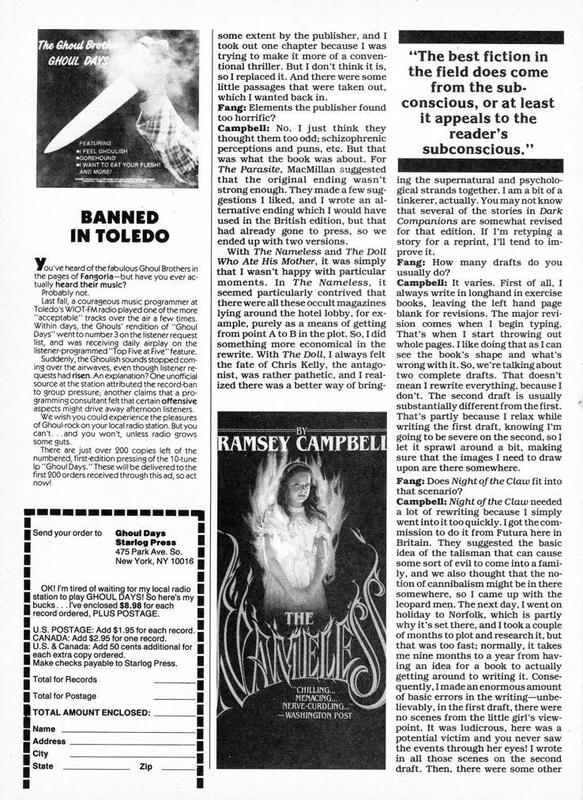 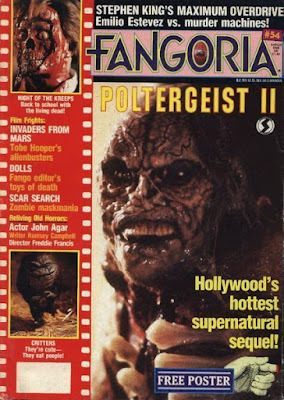 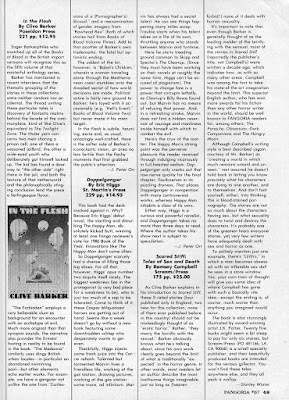 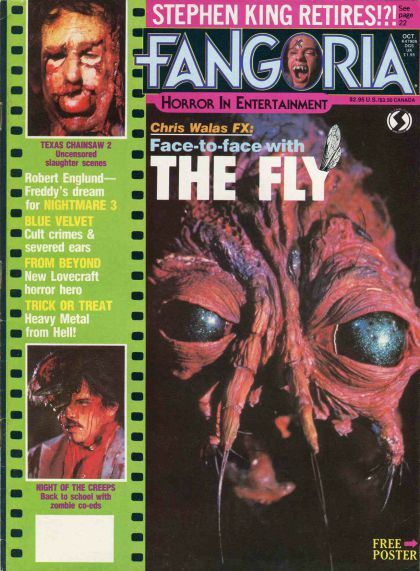 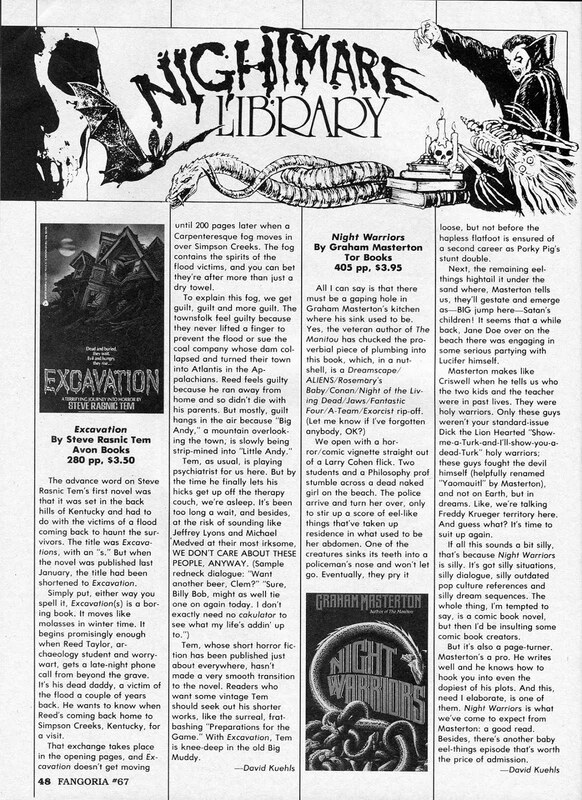 Continuing this little excavation of old Fangoria mags by TMHF reader Peter F., here is an interview with horror giant Ramsey Campbell, from the June 1986 issue of the magazine.